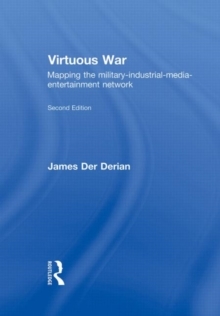 Virtuous War is the first book to map the emergence and judge the consequences of a new military-industrial-media-entertainment network. James Der Derian takes the reader from a family history of war and genocide to new virtual battlespaces in the Mojave Desert, Silicon Valley, Hollywood and American universities. He tracks the convergence of cyborg technologies, video games, media spectacles, war movies, and do-good ideologies that produced a chimera of high-tech, low-risk `virtuous wars'. In this newly updated edition, he reveals how a misguided faith in virtuous war to right the wrongs of the world instead paved the way for a flawed response to 9/11 and a disastrous war in Iraq. Blinded by virtue, emboldened by technological superiority, seized by a mimetic terror, the US blundered from one foreign fiasco to the next. Taking the long view as well as getting up close to the war machine, Virtuous War provides a compelling alternative to the partisan politics, instant analysis and technical fixes that currently bedevil US national security policy.